Jason Swenk is a digital agency expert. He built his first agency, Solar Velocity, up to a $13 million/year business before selling it. It wasn’t always a smooth ride. There were bumps along the way, but in the end, Jason had built a successful agency that didn’t consume his entire life. Today, Jason helps other digital agency owners learn from his mistakes and build successful 7 and 8 figure agencies. He is knowledgeable and shares his insights in a clear, down-to-Earth way, without over-complicating the message. To Jason, the difference between an agency struggling to grow past the $500k plateau and one that is bringing in millions of dollars a year all comes down to the processes and systems they have in place. In today’s episode, Jason covers what those systems are, how you can implement them, and how to avoid the common mistakes along the way. 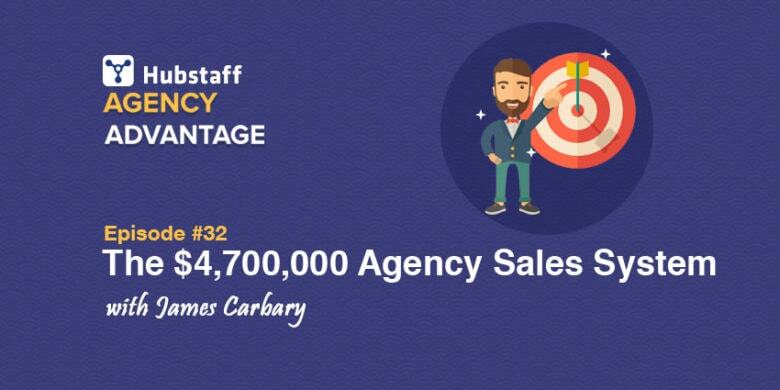 Even if you’re already a million dollar agency, Jason goes deep into everything you need to consider before selling. No matter where you’re at with your agency, this episode has something for you. The biggest thing holding agency owners back from breaking through this plateau is that they aren’t treating their agency like a real business. They want to make money, of course, but when everything in the agency depends on one person, that’s not a business, that’s a job. To fix this pattern, you need to start acting like a CEO. When you’re starting out, you’re going to have to get your hands dirty on things like project work and handling client interactions, but as you grow those tasks need to be transitioned to somebody else. When you start thinking (and acting) like a CEO, then your agency will be ready to take off. If there is one trend that guests keep coming back to, it’s the need to specialize (what Philip Morgan calls “positioning”). After thinking and acting like a CEO, Jason says that this is the next biggest problem for agencies. When you’re going after everybody under the sun, you simply cannot understand all of their desires and needs. This hurts your ability to close deals and charge premium rates. Agency owners often resist this because they don’t want to turn away the bulk of the market, but specialists have no shortage of leads because they can put out great content that truly reflects the needs of their audience. Jason’s agency specialized in Sitefinity and then Sharepoint, but if he were to do it again he would go narrower and focus on the intersection of a technology with an industry. 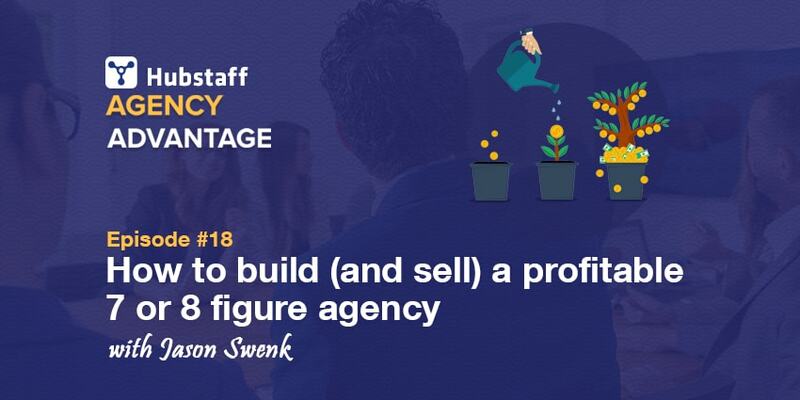 You can easily build 7 or 8 figure agencies in what may seem like “small” niches because you’re able to attract great clients and charge a premium for your expertise. And once you have a market down, there is nothing stopping you from broadening your scope. Selling an agency is a scary process and it’s is crucial to know what pitfalls to avoid along the way so you don’t regret your decision to sell. When somebody first approaches you and says they are interested in buying your agency, most of us get really excited and give the potential buyer everything they ask for while mentally spending all the cash we think we are going to get. The trouble is, it’s a two-way street. Every question they ask to learn about your agency, you should be asking them to learn about their agency. You need to make sure they are a good fit for you because it’s likely you’re going to have to keep working with them for a few years after the sale. You also need to be cautious about giving them too much information before you have a signed letter of intent (LOI) on the table. The potential buyer is probably a competitor of yours, so don’t give everything away until you know they are serious. If you do get an offer after due diligence, it is almost always going to contain an earn-out which means you are only going to get a percentage of your valuation upfront in cash (maybe 20-25%) with the rest being earned if you hit certain performance goals. These targets are going to be intentionally designed to be nearly impossible to hit, so you need to negotiate to lower them as far as possible before you sign any agreements. Remember, after every acquisition you are going to lose some of your employees and some of your clients, so there will be a real adjustment period. With all of that in mind, you need to ask yourself if selling even makes sense. A profitable agency can be a great cash generating asset to own. Unless you get very favorable terms on your deal or just want to get out, it may make more sense to hold on to it. Don’t rush into anything. The only difference between an agency making $500k and one making $5mm are the systems they have in place. 7 and 8 figure agency owners aren’t smarter than you, they are just smart in certain places, work hard, and make good decisions. Instead of just letting the agencies growth happen naturally and seeing where it takes them, the most successful agency owners are deliberate. You don’t need to have the dream of creating the next Vayner Media, but you still need to be smart and have a plan that fits your goals, whatever they may be. The fact is, most people just don’t put in enough work for a long enough time to get the results they want. Building these systems in your agency will help you get the results you want, but it still won’t happen overnight. Just keep showing up, putting the work in, and improving and you’ll get there. Jason talks about all of these topics and more on his website, JasonSwenk.com. If you’re interested in going more in-depth, check out the resources, worksheets, and training in his Agency Playbook. Jason’s free content is good enough that he could charge for it, so go check out some of those freebies to help get your agency to the next level. What has it been like for you to balance the agency owner mindset against that of a CEO? Share how the process is going in the comments below, I’d love to hear what worked and what didn’t.